Deciding where to go to college is a big decision. It’s exciting and stressful all at the same time to figure out which school is right for you. With the soaring cost of higher education today, cost has to be a factor in any student’s decision about where to continue his or her education. One option that is often overlooked or under-discussed is the option of going to a community college before finishing at a four-year college. 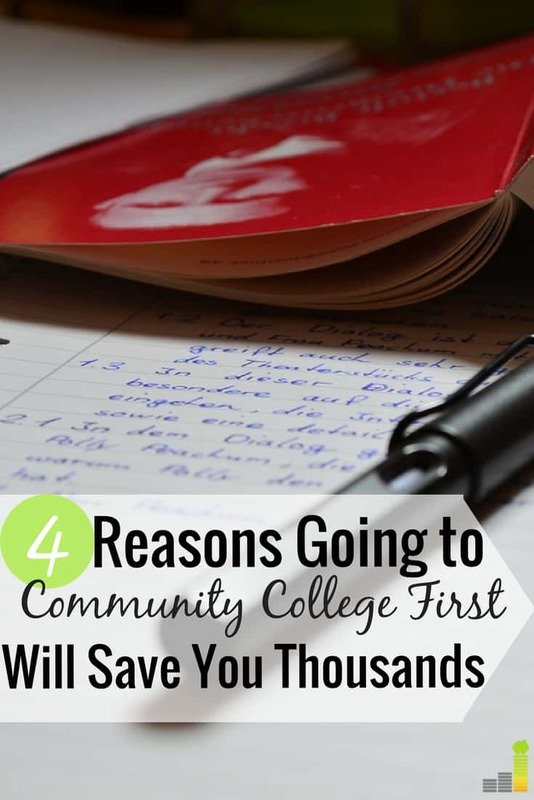 There are many reasons you may want to go to a community college first before attending a four-year university. For starters, they’re cheaper. College tuition rates at four-year universities continue to rise at alarming rates, and student loan balances are higher than ever. Where once people saw community colleges as a “lesser” education, now more and more people see the financial and social benefits of starting their college careers at a community college. 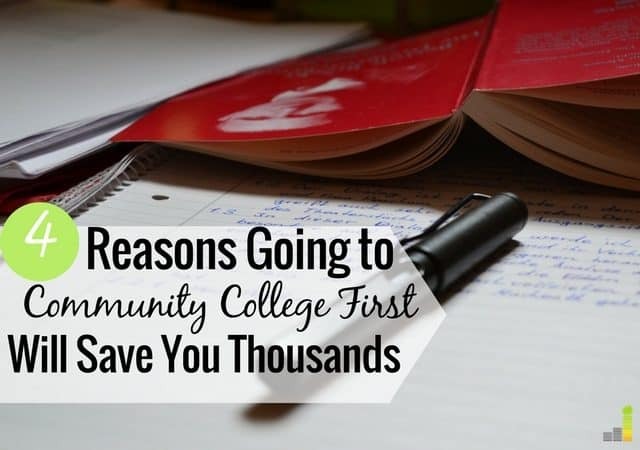 If you’ve been looking at community colleges for awhile now, or are just beginning to think about whether or not you should go to a community college first, here are a few factors to consider. According to College Board, community colleges are much less expensive than four-year institutions. Below are some of the average costs of getting a higher education, including comparisons between two and four-year colleges. As evidenced, two-year community colleges are much less expensive for students. In fact, with yearly costs under $5,000, many students can cash flow the first two years of their college education. In my opinion, introductory college classes will be similar regardless of which school you attend. Once you decide on a major, you can pursue those higher level courses at a four-year university. For this reason, why not go to an affordable school for your first two years? After all, Math 101 will be the same in both places. As someone who knows way too much about about student loan debt, I plan on encouraging my children to take a few community college classes in high school and beyond to save on college tuition. Plus, no one will ask you where you attended your first two years of college. They’re just going to ask you where you graduated from. If you transfer after community college, you’ll earn the same diploma as those who paid much more for their introductory coursework. Another great benefit of community colleges is the small class size. This is especially comforting for students who attended small high schools. It’s also great for those who thrive in a more intimate classroom environment. Large universities can be overwhelming. I know LSU’s campus has a 1,000 person classroom that they use for introductory communication courses! So, attending a community college is a great way to get one on one attention from professions while adapting to college course loads. Many of the classes you take at a community college are introductory, core courses that are transferable to four-year universities. One tip is to choose a university you want to transfer to after community college and keep in touch with admissions counselors there. When you choose your community college classes, contact the admissions counselor at the four-year university you want to attend to make sure your courses will transfer. Planning and communicating with the school you want to attend eventually will ensure you take the classes that will actually count towards your four-year degree. Many people don’t realize that in some states, community colleges have articulation agreements with top universities. For example, Virginia has one of the best community college articulation agreements available. There, you can attend a community college like Northern Virginia Community College (NOVA), meet specific requirements, and get guaranteed admission to top in-state schools like UVA and The College of William and Mary (my alma mater), both of which accept NOVA students under this agreement. The New York Times even published an article called “The Smart Transfer” about a young college student who attended community college in New York and then transferred to New York University, where she saved tens of thousands of dollars because she completed her first two years of school at the community college. Again, this is a great way to get a degree from top schools without the hefty price tag. Ultimately, attending a community college for your first two years of college can be a wise choice financially. It can also be a way to ease into the next phase of your life in a smaller environment. I know I’ll be encouraging my kids to take some community college classes as a way to save money. Plus, it will give them a taste of what college at a four-year university will be like before they actually attend one. What are some other benefits to going to community college first? What risks do you think there are to going to community college first? What are some other ways you’ve seen used to save money on the cost of college? My wife took this approach with a small university. She completed two years at the small state school university then transferred to a top tier private engineering school for a degree. I instead went the AP test route. My unscientific observations pointed that she had the better path. My top tier school mostly ignore AP tests while she was credited reducing her costs. We will be driving our kids this direction if higher education still works the same in 15 years. Trying to get into graduate school, law school, or medical school? Your GPA will be very important from undergrad. It’s easier to get A’s in small core classes at a community college then it is to get A’s in an auditorium class of 500. I chair the board of trustees at a community college and agree with your post. We do offer the most bang for your educational buck. However, there are a couple of things to check out before deciding. Some degrees, like mine in chemical engineering, require very specific courses the first two years that may not be offered at a community college and some universities will accept your credit hours but not your GPA. Without the first two years of easy A’s you don’t have anything to offset the lower grades you might get in the real tough advanced level courses. But aside from those issues it is hard to beat the economics favoring community colleges.